Indie hit Volgarr the Viking is coming to the Wii U and 3DS, it has been confirmed. 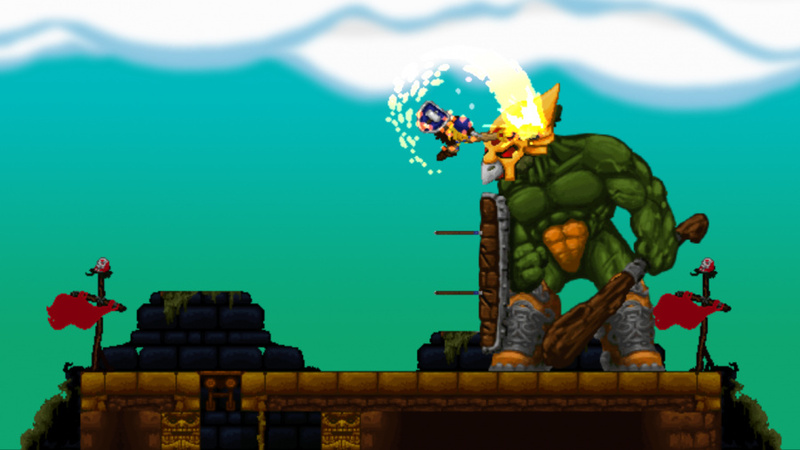 A love letter to the tough-as-old-boots 2D action platformers of the '80s and '90s, Volgarr takes a large helping of inspiration from the likes of Rastan and Ghouls 'n Ghosts. Initially arriving on PC, it hit the Xbox One in 2014. This sort of game is always tricky to recommend, because its appeal is so specific and so dependent on a willingness to suffer a hundred punishments in exchange for one sweet moment of victory, before plunging back into the fray. Make your peace with this masochistic rhythm and you'll find a game that disguises its painstakingly meticulous design behind an exterior that can seem arbitrary and clumsy. Volgarr the Viking is, beneath it all, a very lovely game. Just don't be surprised if it takes you a while to realise it. 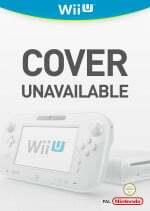 Are you looking forward to hacking and slashing on your Wii U or 3DS? Run the comment section through with your sword to let us know. My body is ready, as usual. Nah, ill pass on this one. I already had to fix my gamepad screen due to it falling off a desk, I don't want to have to fix it again after flinging it into the ceiling fan in a fit of rage. If I'm gonna try this, ill need a nerf pad first, lol! I got it free on Xbox One. The game is really hard. This game, is freaking insane and I love it! I think I will pass on this. Seeing my brother raging at it on his xbox one makes me not want to get it in the fear I will break my Gamepad or 3ds. This game is ace on the xbone, got it free with gold but I don't have a gold account anymore so will be purchasing on Wii U.
Oh man, this looks awesome! 3DS for me please! Soundtrack from trailer is actual soundtrack from game? Backed this on Kickstarter, but I will easily buy it on Wii U also! Hard as nails, but awesome game. Looks like one hit kills. Nice. Game actually looks like it has some level of difficulty. Will be niche for sure but looks fun. Like the look of it but it might just be too frustrating for me.I like a challenge but not to the point I have my neighbours banging on my door telling me to stop yelling profanities.I'm still waiting on Insanity's Blade,that looked more my kind of thing. It looks good but I don't like games as much when it's more remembering a patten as opposed to actually playing a game your way. This reminds me of Wizard's and Warrior's. I didn't care for the game in the end either. I've been killed over 500 times in Monster Hunter and I'm still playing. Think I can handle this game? I think I'll pass... because I already have it on steam. Good but hard as hell. Shovel Knight provided enough challenge for me. I'll have to pass. I must admit, I'm a sucker for Heavy Metal Vikings. I'll keep this on my radar. I enjoy the occasional rip-your-hair-out difficult game. I'm sitting on the fence on this one. I think if I do get it I'll wait for the price to go down. Sometimes I like really hard games but then they can be just plain mean and frustrating. Bring me this game at once, this looks all kinds of amazing. I don't know. I'll see what people have to say. Judging from the trailer alone, it seems to me to be a cheap and poorly-designed game that tries to get away with it by claiming it's "hard". There are truly hard games, that actually challenge the player, and then there are the games that are entirely based on memorizing patterns due to the terrible enemy AI and poor level design. This looks Renegade-hard, not Ninja Gaiden-hard. Looks cool. I'm a big fan of those old arcade side scrollers like Rastan and Ghouls n Ghosts. I think I will be a perfect fit for my 3ds. Lol, those sea-mines sound like dolphins. Deadly dolphins!